Even though Chris Zylka and Paris Hilton are madly in love, both parties took preventative measures to avoid trouble in the future. In fact, they signed a prenuptial agreement. According to a report from TMZ on the 30th of March, Friday, when reporters from the publication approached the couple as they walked through the Los Angeles airport, the pair revealed to the cameraman that they had signed an agreement. The 32-year-old, Chris, said any “gentleman” who is about to marry a very rich, successful, and established businesswoman would always bring up the idea of a prenuptial agreement. It’s the gentlemanly way. He explained, “So, yes, of course, we’re going to have one.” Hilton, 37, said she and Zylka don’t need one because they’re going to be together for forever. The cameraman jokingly asked Zylka if he would get the cats or the dogs (in the divorce), and Hilton, once again, said they would be married until the end. As you may know, Chris and Paris got married at the beginning of 2018 when Chris got down on one knee and asked her to marry him in Aspen, Colorado. At the beginning of March, Hilton spoke with Us Weekly and said she and Chris are together almost every single day, so it’s like date night every day and night. However, as most know, that might become a problem because eventually, familiarity breeds contempt. Maybe Hilton and Zylka should take a break every once in a while. Either way, we congratulate Chris and Paris on their marriage, and hopefully, their prenuptial agreement won’t be needed. 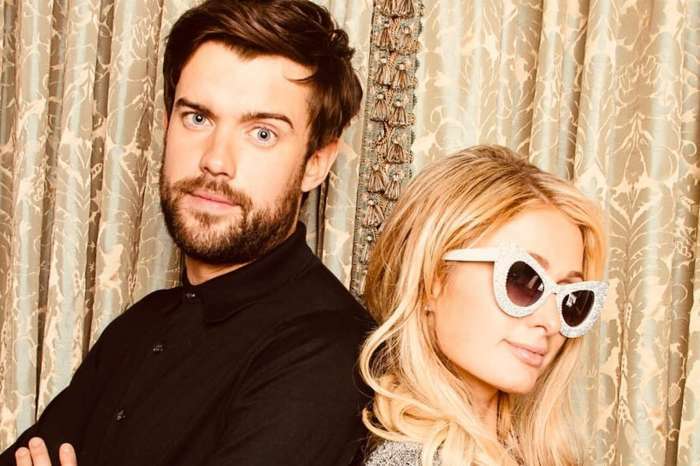 Paris Hilton Flirts With Jack Whitehall On Social Media!